On October 27, a press conference for JTBC's new survival program "Mix 9" was held in Seoul. Since the program is planned and produced by YG Entertainment, all the people in the k-pop agency are putting much spirit into the program. Yang Hyun Suk, who visits various k-pop agencies throughout the country and finds and trains talented trainees in the program is the main judge of the program, while Zion.T, CL, Taeyang and Seungri will appear in the program too. And Teddy, a famous music producer of YG composed the program's theme song. So, check out what Yang Hyun Suk talked about the program at the press conference. Q. There so many audition or survival programs these days. What's special about "Mix 9"? YG: What's special about "Mix 9" is that the program is planned and produced by YG. Not only Seungri and Zion.T, who attended today's press conference, but also CL and Taeyang will appear in the program. And G-Dragon couldn't take part in the recording of the program yet due to his tight tour schedule, I expect him to make an appearance in the program later. Han Dong Chul, the producer of the program is also looking forward to GD's appearance in the program. Q. Park Jin Young will also make an appearance in the program as a special judge. YG: Yeah, YG's trainees participate in the program too, and I thought it's absurd I judge them. That's why I asked Park Jin Young to appear in the program, but he treated my trainees so coldly. I told him I will retaliate, haha. Q. 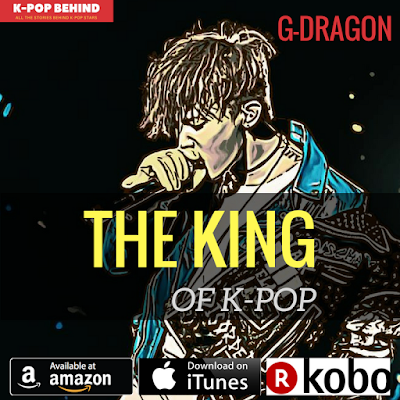 What do you think is the biggest problem about the k-pop industry? YG: There are so many similar idol groups. That's why I never watch music chart shows these days. As the market grows, all the people do profitable music. Actually, BIGBANG hasn't wanted to appear in music chart shows since a few years ago. It seemed the BIGBANG members felt uncomfortable there. All the idol groups dream of success, but only 5% of them can achieve success. Q. What made you decided to plan and produce "Mix 9"? YG: Since 10 years ago, I've wanted to add my touch to singers of other k-pop agencies. I wanted to realize such an idea through "Mix 9". And you know, k-pop idols these days should appear in TV shows to become popular, but idols of small and medium k-pop agencies can't even get a chance to make an appearance in a TV show. I thought a TV program like "Mix 9" can be helpful for them. Q. Tell me about your standards for judging trainee. YG: When I was a judge of "Kpop Star", I had to be very careful because all the participants were young amateurs and the program was broadcast on the public channel. And I focused on participant's singing ability and voice tone while judging them. However, when I filmed "Mix 9", I made sharp criticisms on trainees. 90% of them dropped tears. What I want to do as a judge of "Mix 9" is to pick up a trainee who can become the ace of the k-pop industry. Their singing and dancing ability are important, of course, but so are their appearance and charm. Q. There has been a rumor that you're on bad terms with Brave Brothers and SEVEN, who have left YG. YG: It's not true. While filming "Mix 9", I visited Brave Brothers' company for the first time in 10 years. It was really nice meeting him. Q. What did you feel while filming the program? 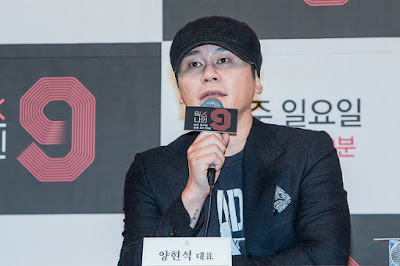 YG: I've met CEOs of more than 60 k-pop agencies, and I became very intimate with them. They love their trainees like their own children, and they treated me like family. When I gave advice to their trainees to fix the trainees' problems, they cried more than their trainees. And actually, they reminded me of my old days. I've been just trying to go forward again and again, but watching them, who do their best in poor surroundings, I reflected on myself. I'm sure such an experience will be a valuable asset to YG.